Oldham Council and Revolution96.2 are teaming up to put on a day packed with family fun and offering something for all ages and tastes on Saturday, August 25. 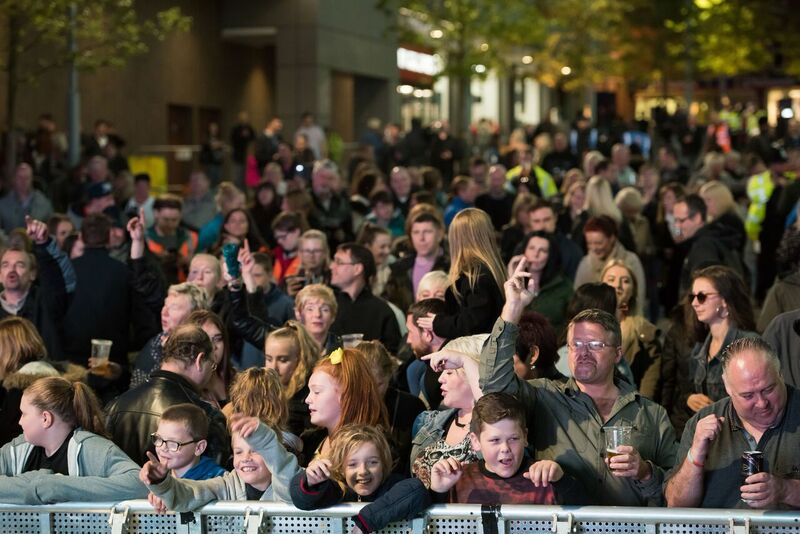 Live music gets underway from around 6pm with a dazzling line-up headlined by Dodgy. The Indie Britpop trio are best known for smash hits like ‘Staying Out For The Summer’, ‘Good Enough’ and ‘In A Room’ in a career boasting 12 Top 40 singles and more than a million record sales. Support acts include Owen Paul who is famed for his huge 1986 hit ‘My Favourite Waste of Time’ and has also worked with Mike + The Mechanics. Also on the bill are one time Brit Award nominees Sweet Female Attitude, whose massive number two chart hit Flowers in 2000 is considered a classic old school garage anthem. There will also be a set from Ella Shaw, the Britain’s Got Talent 2015 semi-finalist who is now a successful singer songwriter with a mighty voice – plus a DJ set sure to excite from Revolution 96.2’s Dave Sweetmore with Madchester anthems and Indie classics. Before all that #OldhamLIVE focusses on free family fun from Noon onwards. Sid Sloane, CBeebies’ longest-serving presenter, is headlining the stageshow with an interactive Sid’s Gameshow that will be loved by all.